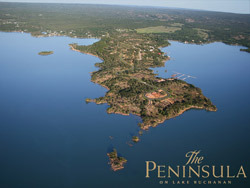 The premier waterfront development on Lake Buchanan. Featuring over two miles of open shoreline on the first lake in the Highland Lakes chain. Lake Buchanan is known for its pristine, clear water and is the largest lake in the Hill Country and all of Central Texas. Acreage lots offer plenty of privacy. A private marina includes a dedicated boat slip for each lot. Located 14 miles from Burnet and within an hour of Austin. One of the most coveted areas on Lake Buchanan is finally open for sale. Sunset Cliff Estates offers some of the largest waterfront tracts with some of the deepest water on the entire lake. Spanning miles of shoreline, tracts range in size from one acre to 27 acres. Open water on the main body of the lake; protected deep water coves; it's here. Located only 15 minutes from Burnet and an hour from Austin. Rare opportunity to own one of the last undeveloped waterfront lots on Inks Lake located in the desirable gated community of Inks Lake Village. This lot has 100+ feet of waterfront, granite outcroppings, and has beautiful open water lake views across Inks Lake with views of the rugged shoreline of Inks Lake State Park. 1,593' of frontage on an outstanding section of the Pedernales River just upstream from Johnson City. The river is wide with a solid rock bottom and gently sloping banks providing easy access. A creek bisects the property and many large oaks and assorted hardwoods compliment the gently rolling terrain. This property is 10 minutes west of Johnson City, 45 miles west of Austin and 65 miles north of San Antonio. 900' of frontage on an outstanding section of the Pedernales River just upstream from Johnson City. The river is wide with a solid rock bottom and gently sloping banks providing easy access. A creek bisects the property and many large oaks and assorted hardwoods compliment the gently rolling terrain. This property is 10 minutes west of Johnson City, 45 miles west of Austin and 65 miles north of San Antonio. 500’ of frontage on the Pedernales River. This section of the river just upstream from Johnson City is wide with a solid rock bottom. Access to the river is easy with a gently sloping bank. Cedar has been removed from the property leaving scattered oaks in a park like setting. This property is 10 minutes west of Johnson City, 45 miles west of Austin and 65 miles north of San Antonio.